Only 16h 14m 45s left! This is the place for requests, comments, and help for the Renderosity MarketPlace. This is the place for all commercial related product postings by active Renderosity Vendors only. New to Poser? 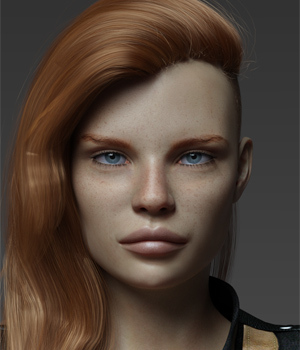 Ask questions here and get expert help from the Renderosity Staff! Ask and get questions answered here about the greatest story ever told. Also, a forum to discuss The Story of Rendo. Forum news, updates, events, and other items of interest to members. Also may be used to post notices or questions to the site admin team. This forum is designed for suggestions from the community on how you feel we can improve Renderosity. The Freestuff Forum is intended for all Renderosity freestuff related postings within our community. Using Poser version 10 / Poser Pro 2014? Talk with fellow users of these versions here. Find help and support among your fellow users. Using Poser 9 / Poser 2012 version? Talk with fellow users of these versions here. Find help and support among your fellow users. Still using Poser version 8? Talk with fellow users of these versions here. Find help and support among your fellow users. Poser 7 user? You need help, advice, tutorial links or advice on upgrading? You're arrived at the right place! Welcome. Still using Poser version 4, 5 or 6? Talk with fellow users of these versions here. Find help and support among your fellow users. Manga Studio User? Talk with fellow users here. Find help and support among your fellow users. Have an idea for a MarketPlace product? Would you like to let the MarketPlace Vendors know? This is the place! A place to discuss different 3D software programs such as Hexagon, Modo, Rhino 3D, Wings 3D and much more! Discussion of Character Creator 3 and iClone 7. Ask the Reallusion team directly any questions you may have! They are here and ready to help you! 3DS Max is a professional 3D modeling, animation and rendering software for creating visual effects, character animation and next generation game development. Join the forum and find out more! Blacksmith3D is software used for 3D painting and morphing (sculpting) and Texture Transformer is for people to convert Victoria 4 textures to Dawn, Roxie and Genesis 2 female and M4 to Dusk. Now you to edit your 3D objects like never before. A full functional integrated software suite. This forum is for discussing the latest tips, tricks and finding out more about Cinema 4D and BodyPaint 3D by Maxon Computer. Want to know more about DAZ Studio? This is the place.. Whether editing photos, creating filters and textures, stand alone or as a photoshop plugin, this is the place to discuss all things Filter Forge. This is where you can discuss tips, techniques and find help relating to Newtek's LightWave 3D. This forum is for discussing Autodesk Maya high end 3D software. This forum is for discussing MojoWorld from Pandromeda. Share and learn tips, tricks, filters, tubes and more using JASC's Paint Shop Pro!! Discuss and learn Techniques, filter and brush combinations for your Pre or Post work renders!! This is a place to discuss reality 4.1, get help with technical issues from the vendor, Paolo, as well as discuss video tutorials that are available on Renderosity. Design, Animate, Render! Create and detail design projects with the richest tool set available at a low price. Terragen is a scenery generator capable of photorealistic results for professional landscape visualisation, special effects, art and recreation. Discussion, problem-solving, tip-sharing and other activities involving Vue d'Esprit and Vue Professional, e-on software's rendering programs for creating still or animated natural 3D environments. Award-winning 2D and 3D image creation and processing tool, powered by a real-time rendering engine. Have you ever wanted to create a movie? Well, here is your chance! Help us write a movie based your interpretation of the latest "Clone Attacks"
Featuring a new freebie every week...enjoy!! Everything you need or want to know about gallery sales & selling. Get the latest scoop on what's going on in the graphics industry. Read the latest press releases from the leading manufacturers of graphic arts software and hardware technology. Bienvenido al foro de habla hispana! A place to hang out and talk about anything. The TOS must be followed when discussing topics in this forum. We would like everyone to enjoy this forum so please be mindful and respectful of others. You just want to get away from your issues and just talk about art or show your art. If you're mad that day and want to show the painting you did while listening to Judas Priest's "Breaking the Law," then you can. This forum is to refer back to when you aren't sure if something is against the TOS or not. This has what is and is not acceptable. There is also instructions and links to form letters that need to be used when contacting members when violations are made. Discussion, reviews, tips exchange and creative activities for those involved with drawing/painting on paper, canvas or computer for fine art display, textures, 3D over-painting or web graphics. The 3D Modeling forum is for sharing general tips and techniques for modeling in your favorite 3D software. It is meant for general discussions that can be applied to most any 3D modeling packages. Everything Animation for 2D and 3D! MetaStream/VET, Macromedia Flash, etc. This forum is for monthly forum contests & challenges. If you'd like challenges and activities, step into the arena and give a challenge activity a go! Post here to share info and images of characters you have created. Check out Renderosity's Contest Winner announcements. Also, find out about other graphic art contests on the internet. Post here and place a link to the contest. Ici, c'est l'endroit des Francophones. Besoin d'aide sur un logiciel ? D'un coup de main pour naviguer sur Renderosity ? Exprimez-vous ici, mais uniquement en Français. Das Forum fÃ¼r alle, die sich lieber in Deutsch Ã¼ber die Themen unterhalten, die es in den anderen Foren nur in Englisch gibt. Discussion, tips exchange, and creative endeavors that benefit other Mix Medium members or those who wish to learn the finer techniques of Mixed Medium art through questions, answers and example. From photo basics, to shooting for textures and skins, to pure photographic art, you are sure to find answers to almost any photographic question here. A place for Poser Snake-heads to hang out and learn. Want to talk about texturing? What programs do people use? How do they use them? This would be the place. This forum is for our vendors and freestuff providers to post requests to beta test new items. Place to discuss Unity knowledge, ask questions or anything Game Dev related.